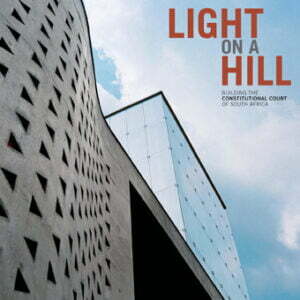 Working closely with the Constitutional Court Artworks Committee headed by Justices Yvonne Mokgoro and Albie Sachs, David Krut Publishing prepared the book as a companion volume to Light on a Hill: Building the Constitutional Court of South Africa. Art and Justice: The Art of the Constitutional Court of South Africa is designed by Ellen Papciak-Rose and features photography by Ben Law-Viljoen. 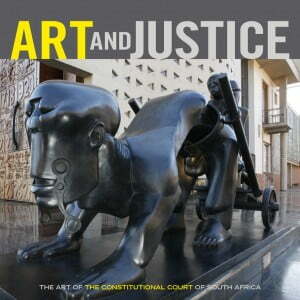 Art and Justice: The Art of the Constitutional Court of South Africa serves as a record of the Court’s growing collection of paintings, prints, fibre art and sculptures and pays tribute to an extraordinary vision: to bring together art and justice in a building that would welcome all citizens of the country. AVAILABLE ONLY AS A SET WITH LIGHT ON A HILL, DVD INCLUDED.